Posted in: Australian Open, Junior Tennis, USTA. Tagged: 2014, American, atp, australian open, Finalist, florida, junior, mens, stefan kozlov, usa, usta. WHITE PLAINS, N.Y., January 24, 2014 – Top-seeded and No. 1-ranked Alexander Zverev of Germany overcame 15-year old American Stefan Kozlov, of Pembroke Pines, Fla., 6-3, 6-0, to win the Australian Open boys’ singles title today in Melbourne. The No. 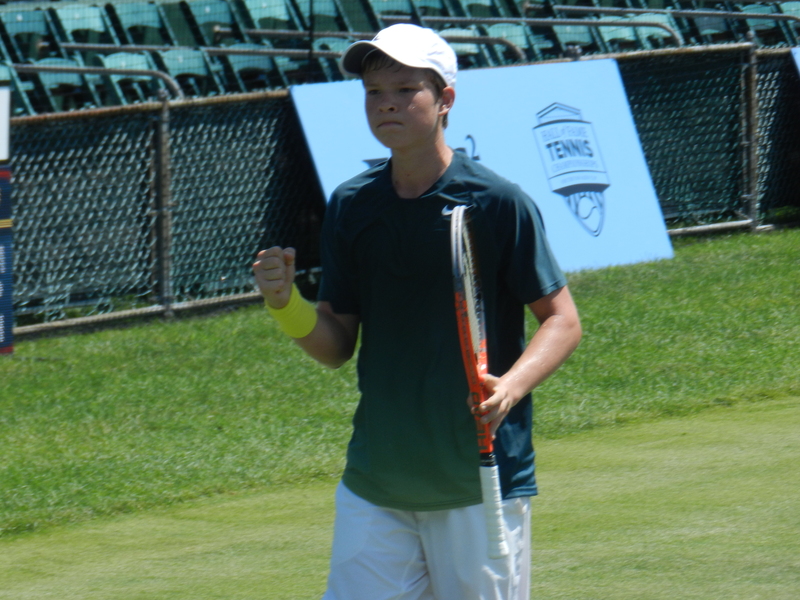 2 seed, Kozlov advanced to his first Grand Slam junior singles final and became the first American boy to reach the singles final at a junior Grand Slam since Bjorn Fratangelo won the French Open boys’ title in 2011. Donald Young (2005) and Andy Roddick (2000) are the only Americans to win the Australian Open boys’ singles championship. Taylor Townsend won the girls’ singles title in 2012. Kozlov, who trains with both his father, Andrei, and USTA National Coach Nicolas Todero out of the USTA Training Center – Headquarters in Boca Raton, Fla., projects to ascend to No. 2 in the world junior rankings for all players ages 18 and under. Three American boys, who were born within a month of one another in 1998, are currently ranked in the Top 10 – Kozlov, 2013 Metropolia Orange Bowl champion Francis Tiafoe (No. 7) and Michael Mmoh (No. 8), who teamed with Kozlov to reach the doubles quarterfinals and advanced to the second round in singles in Melbourne. Kozlov, who turns 16 on February 1, had beaten the 16-year old Zverev, the reigning ITF World Junior Champion, in their previous three meetings, each in the last six months. In December, Kozlov defeated the 6-foot-5 German in the semifinals of the Orange Bowl, setting up the historic final between 15-year old Americans, won by Tiafoe, of College Park, Md. In the Australian Open girls’ singles draw, 16-year old Olivia Hauger, of Tulsa, Okla., reached the quarterfinals, upending No. 1 seed Varvara Flink, of Russia, in the second round.